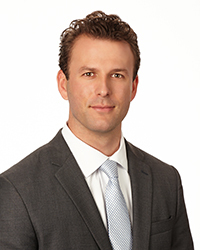 Grant Whittle serves as a senior associate for Mohr Partners, Inc. in the Dallas office. Grant is a member of Jarrett Dunaway’s team, focused on servicing the needs of corporate real estate portfolios of multi-market corporate clients within the telecommunications and business process outsourcing industries. As a senior associate of Mohr Partners’ contact center and site selection team, Grant is responsible for the development and execution of numerous contact centers and operation centers across the United States. Grant has assisted many clients with providing strategic planning, site selection, comparative financial analysis and lease negotiation expertise. Grant has experience representing clients on their office, contact center and corporate headquarters transactions. Prior to joining Mohr Partners, Grant worked for Holt Lunsford Commercial, where he worked primarily with Industrial Warehousing Clients throughout Dallas-Fort Worth metroplex.